Sited near to the southern approach to the castle, the impressive Great Barn stands amid several other estate buildings. 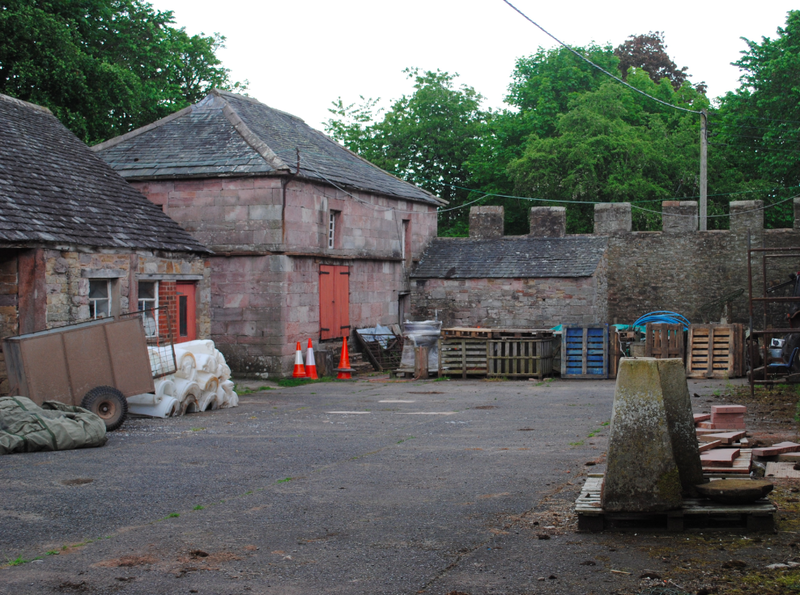 Constructed of limestone rubble, the Barn is reputed to have been built by Walter Strickland in the 1560’s. 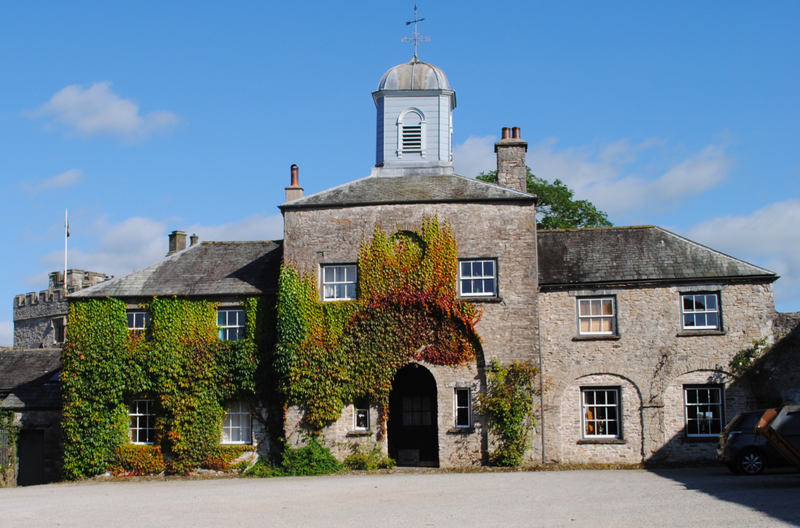 This early example of a two-storey Lake District bank barn features stone chimney stacks, flattened arched heads to either side of the projecting central block with recessed arch which is surmounted by a lead cupola. A bank barn houses animals at ground level and hay and grain are stored on an upper level which is accessible from a ramp or a bank. 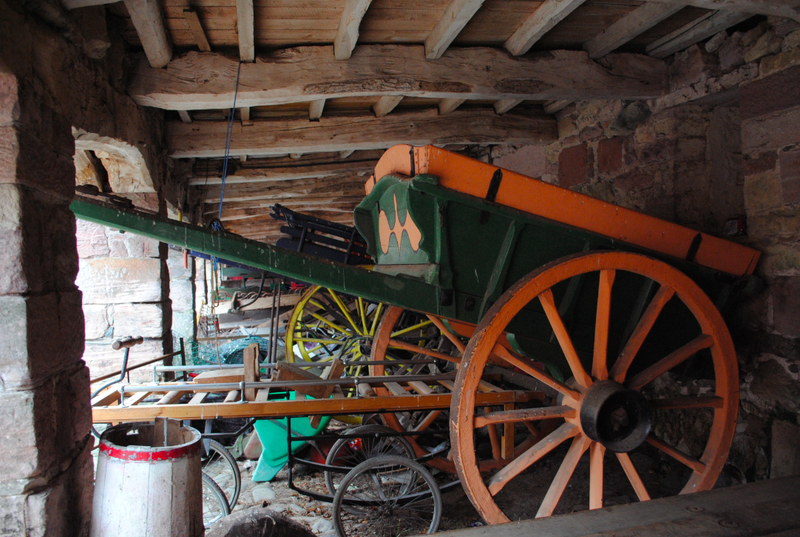 In 1569 ‘the new barne’ contained wheat, barley and oats together with a large number of agricultural implements. The Barn measures over 100ft in length and has two ramps and two sets of double doors to the upper level. 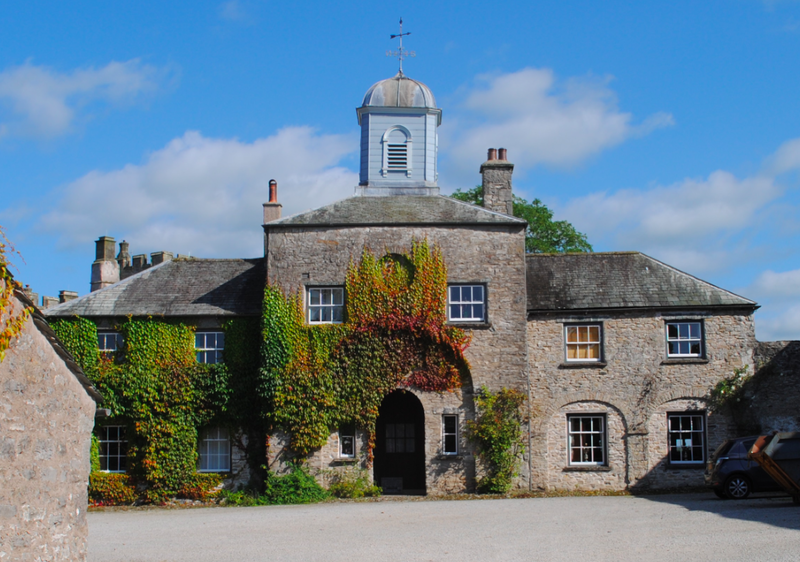 The Great Barn is now converted to houses and is Grade II* Listed. 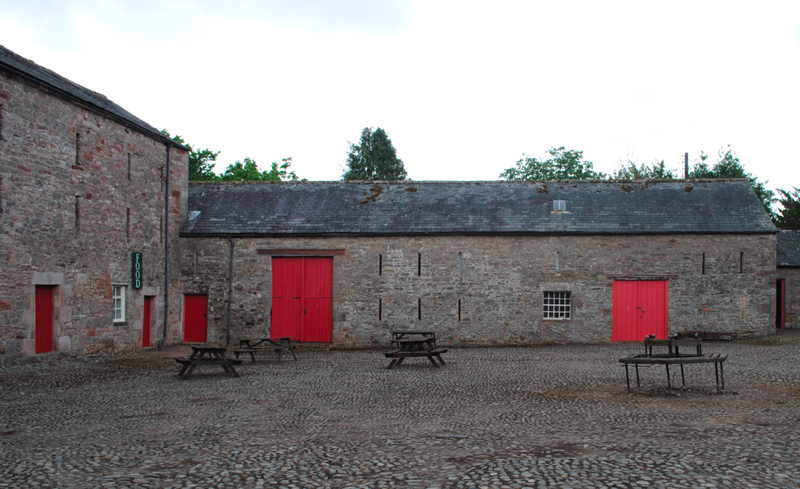 In the courtyard at Dalemain House is a 16th century Great Barn. 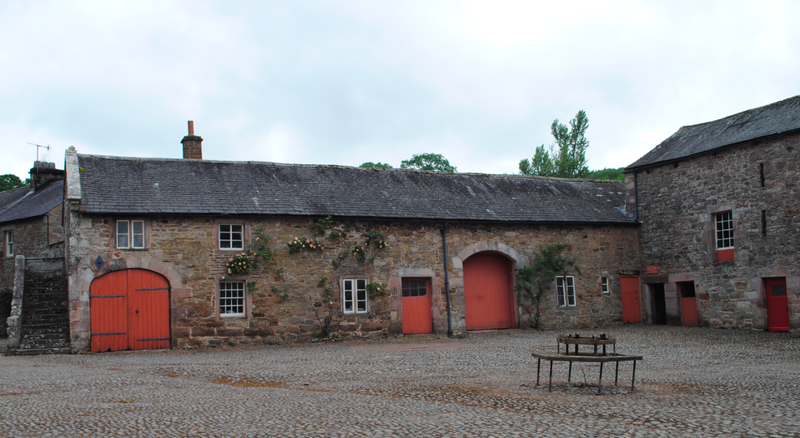 Built in the 1500’s, the large loft barn is constructed of mixed sandstone and rubble walls with flush quoins. The two storey building features parallel stable ranges, casement windows and slit vents on two levels. 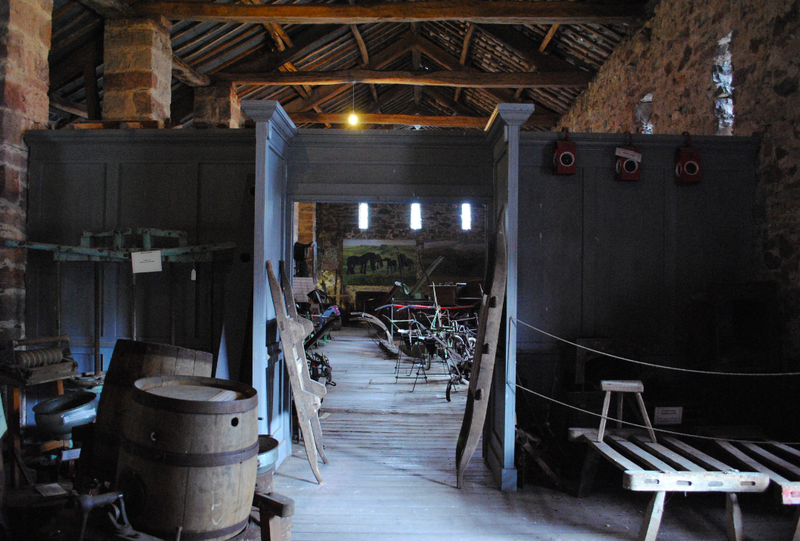 The height of the roof was raised in 1685 and the upper floor of the building is now home to a Fell Pony Museum. 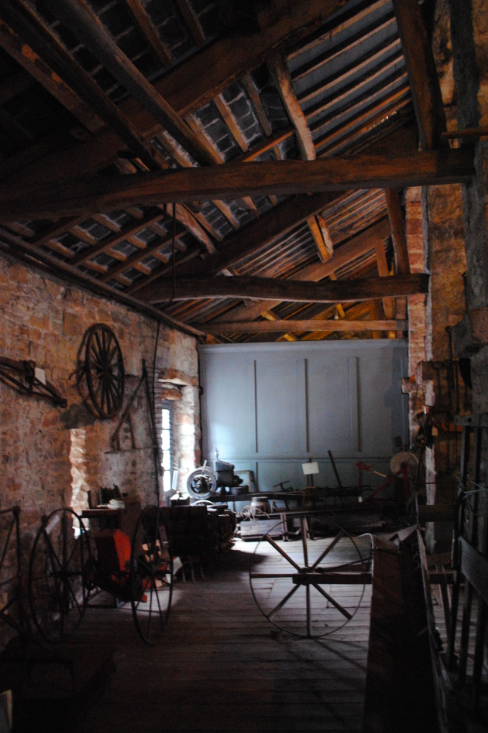 The museum features an extraordinary collection of agricultural implements which chart the history of a bygone country life. Much of the equipment and tools have only become outdated over the last seventy years as a result of mechanisation. The breed of ponies that have worked and travelled through the history of the Lake District have been known for over a century as ‘the Fell’. Native to the north of England, the breed are mostly found in the old counties of Westmorland and Cumberland and are known locally as galloways. Sylvia McCosh (born a Hasell of Dalemain) was involved in the revival of the breed during the post war years and she bred many prize winning Fell ponies that were exported all over the world. Some of her prizes and equipment are on display as part of the collection within the museum. 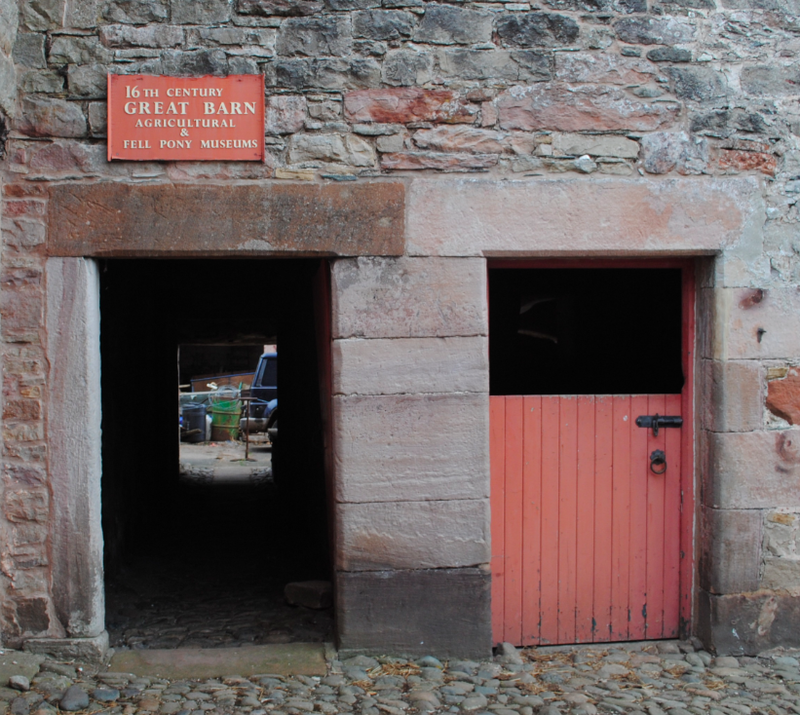 The Great Barn and Stables are Grade II Listed.